Meet the team – We have a great lineup on InfluxData team members presenting on both days sharing all kinds of great news on projects as well as tips and tricks to making “Time to Awesome” a reality for all. They will also be on-hand during the breaks eagerly waiting to get your feedback and answer your questions. 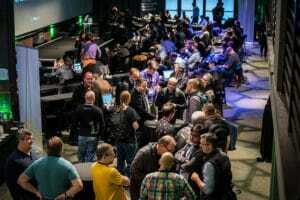 Networking – We are keeping the same format for the conference, giving you plenty of opportunities to network with other InfluxDB users. Meet developers building all kinds of cool solutions with the TICK Stack, and use this as a chance to learn from each other. 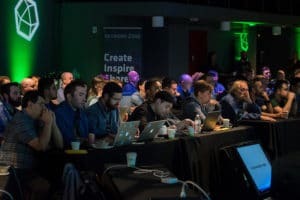 We listen – Last year you asked for more users speaking at InfluxDays and we delivered— in NYC we had 2 speakers and you wanted more. In London we had 4 users, and you still wanted more. 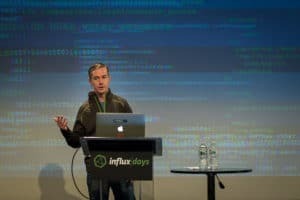 Well at this year’s SF event, we are excited to let you know that we have 5 users speaking about their real-world experiences using InfluxDB! We have a rockstar – And his name is Paul Dix. Paul will be kicking off the event with a review of all the great stuff the team has been working on including an update on the amazing progress the team has made with #Flux. We are event-hosting a session during the workshops to dig deeper into Flux so you can see for yourself the great things that will be possible with your time series data. Learn – 2 tracks for the workshops and some time to work with our developers on some of the new features like Flux. Track One is for those of you just getting started with the TICK Stack and Track Two is for those of you more familiar with the stack who would like to learn how to best optimize your solution. Less than 60 days to go until we all meet at InfluxDays—come join us! Special Early Registration prices at only $199 are still available until September 14, 2018.